Cointorox (OROX) - Events, Price, Market Cap, Supply, Exchanges and more! Cointorox is a digital piggy-bank allowing users to save money as a one-off or a monthly recurring payment. 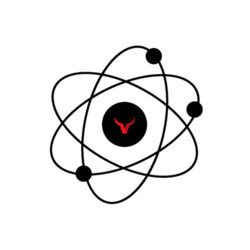 The savings are automatically converted into top-tier coins according to the savings packages as outlined within the platform. 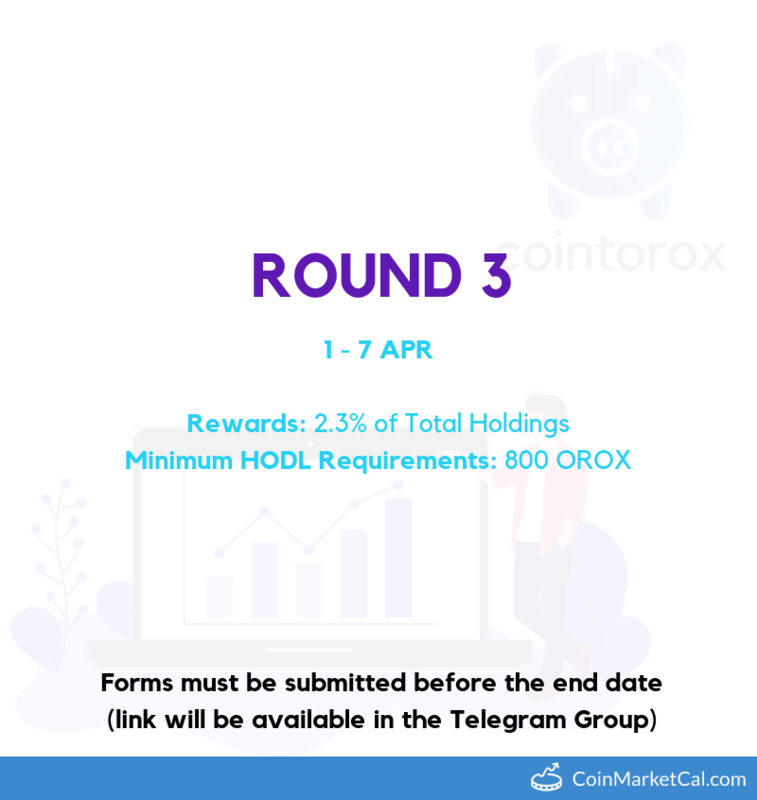 Weekly rewards for Cointorox Community Members holding over 950 OROX. Token Rewards distributed from leftover bounty tokens. 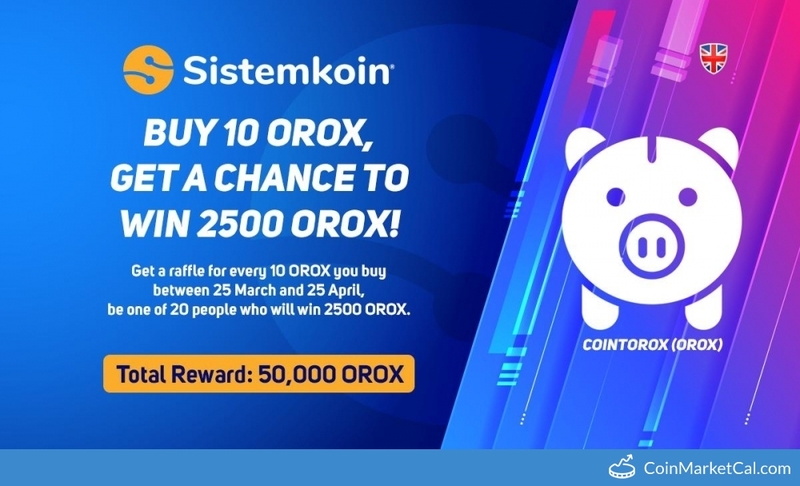 Weekly rewards for Cointorox Community Members holding over 800 OROX. Token Rewards distributed from leftover bounty tokens. 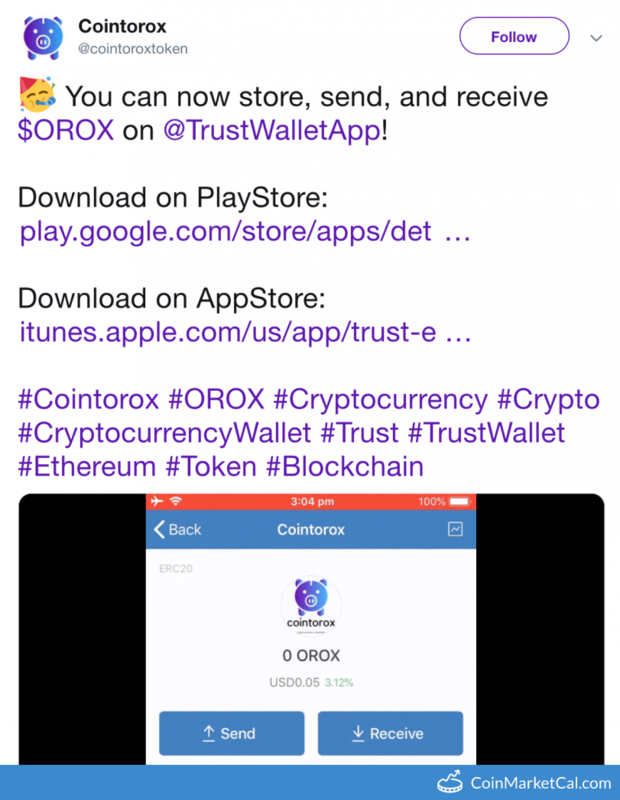 Cointorox (OROX) can now be stored, sent, and received on Trust cryptocurrency wallet. 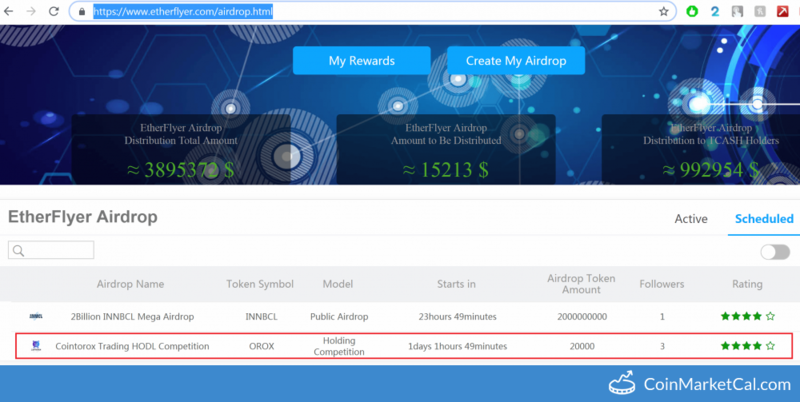 20,000 OROX distributed on EtherFlyer Exchange as Trading Competition Rewards. 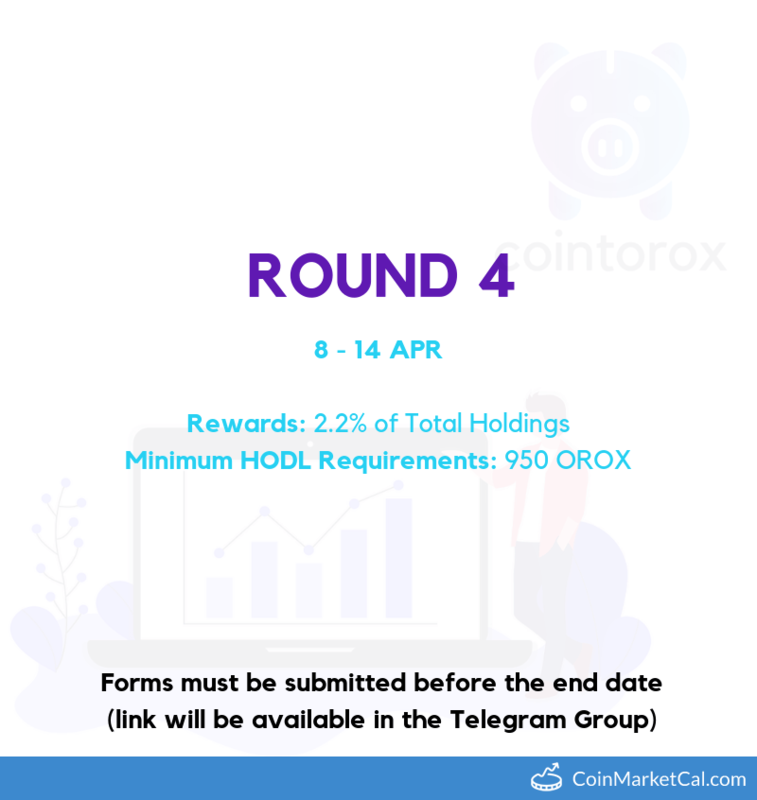 Weekly rewards for Cointorox Community Members holding over 650 OROX. Token Rewards distributed from leftover bounty tokens. 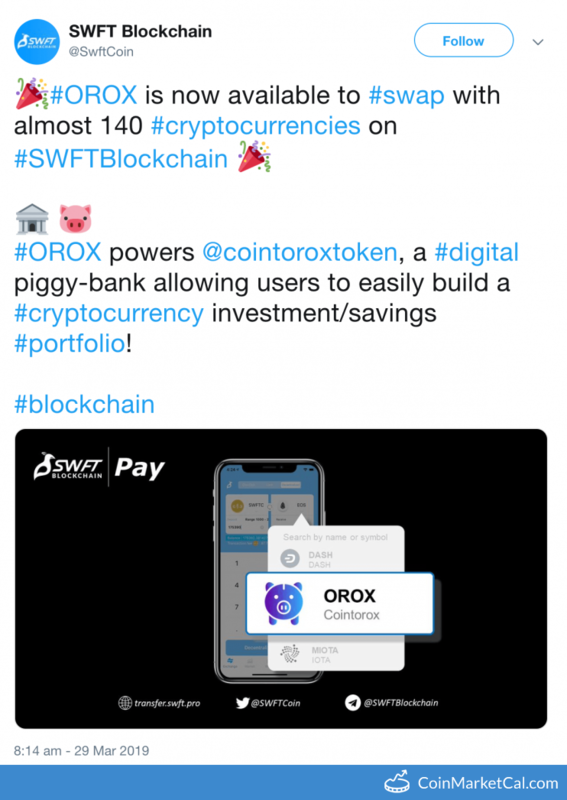 OROX is now available to swap with almost 140 cryptocurrencies on SWFT Blockchain.